With all that in mind, last year I wanted to make a Christmas gift for my niece and nephew that was not only hand made by me, but gave them the chance to bake it themselves and be proud of it. I made cookie and brownie jars with personalized labels and instructions. Everyone loved it, and seeing how much fun they had was really rewarding. That’s when people around me started saying, “you should make these and sell them!” I thought they were crazy. Luckily, I have a very persistent boyfriend who would not rest until I made more jars. A couple months after making my first jars, I joined a local flea market and had a great experience. I was so happy to be making something to call my own and be able to proudly share it with my local community. 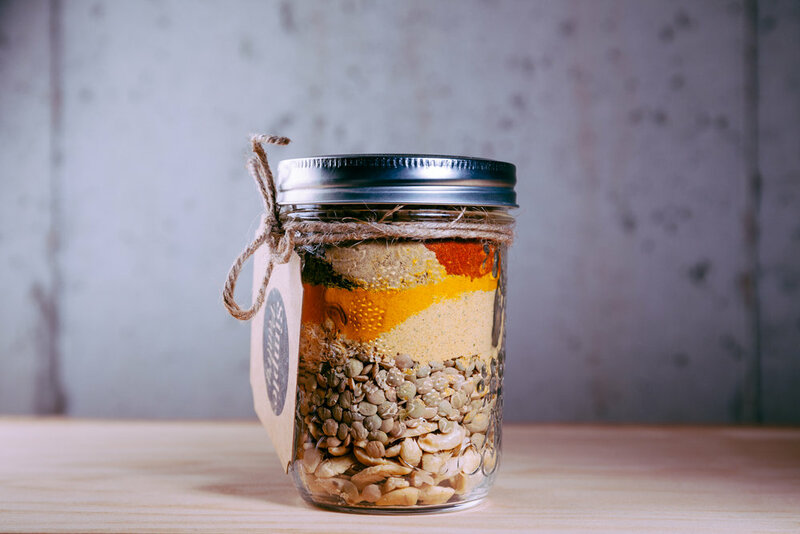 Simple Pantry provides me a creative outlet, while being able to working with food/cooking and enabling others to be able to cook great meals on their own. I would say what I specialize in is making something look good, while also tasting good. I’m different from someone who makes a ready to eat food, such as cupcakes, because I only work with dry, raw ingredients. A lot of the time my ingredients look bland or people do not know what to do with them. I am able to arrange them in a visually appealing way while combining them to make a delicious finished product with minimal skills or effort. Since I've been at this for less than a year, I am still working to establish myself in the community. Sometimes I get mistaken as my competitors. I wonder if anyone mistakes them as Simple Pantry? I chose a very difficult industry to work in; not only Canadian crafted, but also the food industry. There are a lot of rules and regulations you have to abide by when selling food to your community, with good reason. That is the main struggle, to always ensure my products are high quality and comply with standards. I am excited to continue this journey and see where my creations will take me. Identifying as a maker/crafter has been so rewarding. It’s opening up a new chapter in my career life that I’m very excited to explore! Follow SIMPLE PANTRY on Facebook + Instagram! 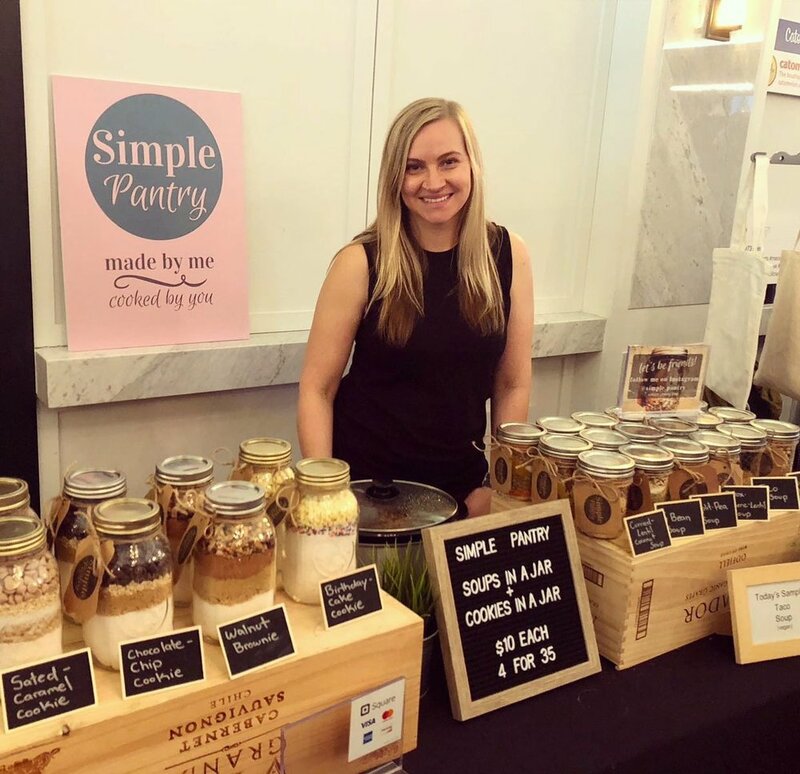 Shop SIMPLE PANTRY at NookFEST Community Arts and Music Festival on September 8, 2018!